As Congress races to avert a government shutdown before December 22, 2017, the momentum is building for members of Congress to include the DREAM Act on one of the government’s spending bills which must be passed before Congress goes into recess for the holidays. The House and the Senate voted last week to grant the government a two-week extension so that Republicans and Democrats would have enough time to pass a short-term measure that would keep the government funded until January. That two-week extension however expires on December 22nd. This means that members of Congress must quickly negotiate pieces of legislation that must be passed along with a temporary spending bill, before Congress goes into recess for the holidays on December 22, 2017. This scenario has opened a unique window of opportunity for the DREAM Act to be included among pieces of legislation that must be passed before the government goes into recess. Republicans are currently under extreme pressure to keep the government open, and as such must concede and negotiate important issues before December 22nd. While Republicans are focused on passing their tax bill before the recess, the momentum is building for the DREAM Act to be negotiated during this narrow window of time. As it stands, nearly every Democrat in Congress has thrown their support behind the DREAM Act, while many more Republicans are putting pressure on their party to deal with the issue immediately. Twenty-Four Republicans have already fired off a letter to the speaker of the House, Paul Ryan, asking for the DREAM Act to be passed before the end of the year. Lawmakers, political organizations, and tech leaders are also helping to increase the momentum to get the Act passed once and for all. According to estimates, every day that passes, approximately 122 DACA recipients lose their protection against deportation. In addition, since the President’s rescission of the DACA program, an estimated 12,000 DACA recipients have lost protection from the U.S. government, and now live on the fringes of society, without the ability to work, or to remain in the country on a lawful basis. 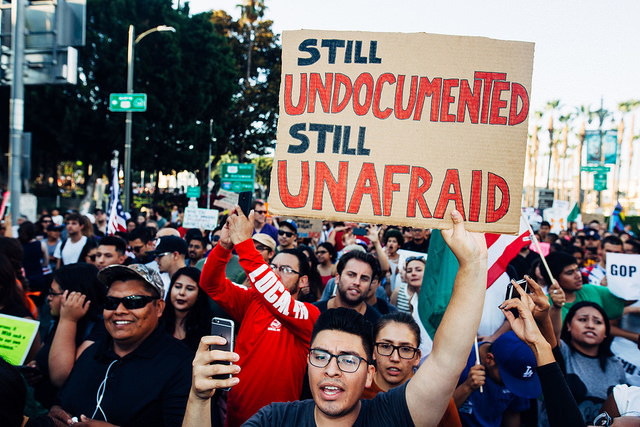 This reality makes it increasingly important for Congress to pass legislation that will allow this demographic to continue living and working in the United States without fear of deportation. This is the perfect opportunity for Congress to act. If Congress does not act, the President has given Congress until March 5, 2018 to pass legislation shielding Dreamers from deportation. As of today, Congress has 82 days to do so. By the time Congress goes into recess for the holidays on December 22nd, that time will dwindle down to 72 days. It is safe to say the race is on. Ask your Congressman to take action now by clicking here. To read more about what’s next for DACA please click here.